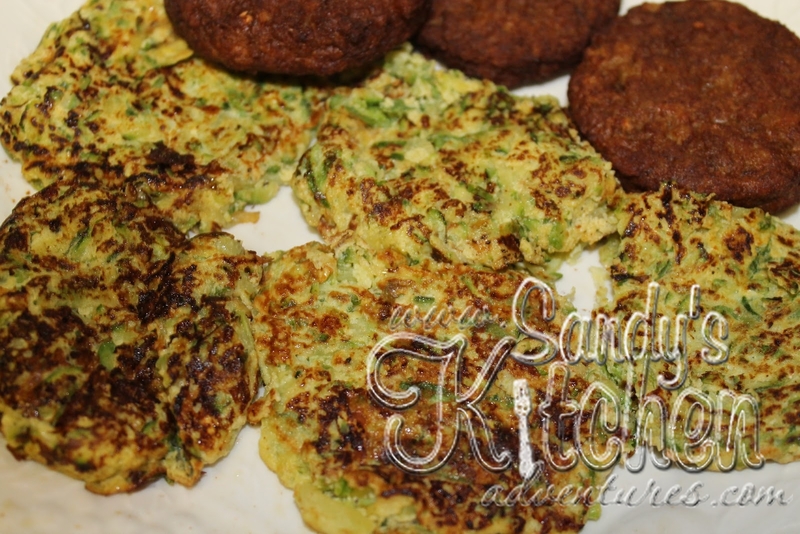 These zucchini hash browns are quite tasty, but they aren't crispy like potato hash browns. They remain kind of soft and you have to be careful when flipping them. They are still worth making so give them a try! Enjoy! Grate the zucchini into a colander. Squeeze out the excess water, and let it sit for an hour or two. Squeeze again. Add the egg beaters, garlic salt, and pepper to the zucchini. Mix well. Melt half of butter in a medium skillet over medium heat. Form 3 to 4 small thin patties in skillet (half of mixture). Cook for about 6 to 8 min, turning once. Remove from pan and set aside. Add 3 to 4 more patties and cook. I had a hard time turning them so next time I plan on just mixing it all together and putting it in the pan as hash.